Despite Christian Bale having said he never wants to venture into the superhero genre again, it looks like Arnold Schwarzenegger could have some company when it comes to actors up for returning to the Batman film franchise. But unlike the aforementioned former supervillain, this guy, like Bale, has donned the iconic cape and cowl before, thus ears shall perk. We are, of course, talking about Val Kilmer, who played the Dark Knight in the 1995 movie, Batman Forever. And, say what you want about him or the the flick itself, but those of us who remember its theatrical run will be able to recall that it was a cultural phenomenon. 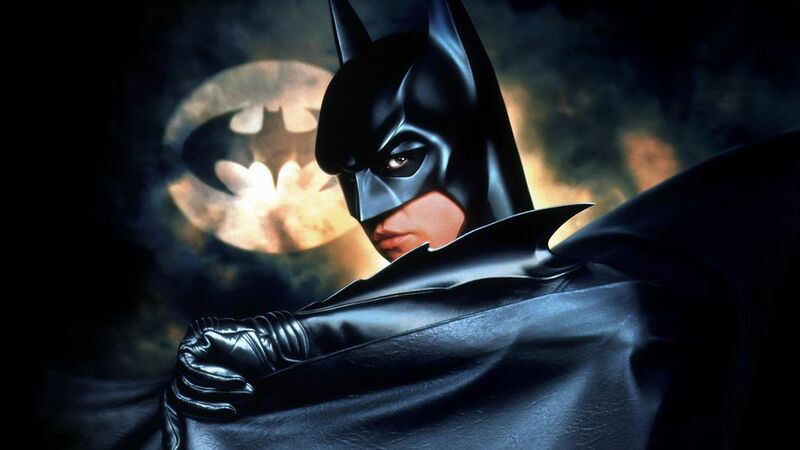 Well, maybe it didn’t quite achieve the level of “Batmania” that Tim Burton’s Batman did in 1989, but it was a box office and merchandising powerhouse. The commemorative glass from McDonald’s that I still proudly own is a reminder of that. Sure, his response is quite simple, but this will have Batfans talking for sure. At 57, Kilmer may not be the ideal candidate for a Caped Crusader in his prime, but if the opportunity ever arose, someone such as him or Michael Keaton would have to be at the top of the list to play an older version of Bruce Wayne if a live action Batman Beyond ever came to fruition. Or, since Kilmer had such a distinctive voice for the character, an animated movie could be something for him to consider. If it worked for a fellow Batman in Adam West, it could work for him, too, right?